Six teams head to Moscow to battle for a share of a US$300,000 prize pool. Invited are Forward Gaming, PSG.LGD, Team Liquid, Team Secret and Virtus.pro, with Natus Vincere joining them from the Closed Qualifier. The tournament begins on Friday with a group stage, two groups of three fighting it out. First place gets seeded straight to the Upper Bracket, while 2nd and 3rd end up in the Lower Bracket. Play-offs are best-of-three, double elimination, with a best-of-five finals series. Group A is comprised of Kuala Lumpur Major winners Virtus.pro, their final opponents in Malaysia, Team Secret, and a struggling Na’Vi. Going on performance at the Major, Secret and VP are the two favourites for this tournament, as they both took 1st in their groups, and were only defeated in series by each other, ending the tournament with a 4-4 game record against one another. However, thanks to the heavy changes from patch 7.20, and the need to adapt, VP may actually suffer somewhat. While Secret took 1st in the EU qualifier for the Chongqing Major, VP finished only 2nd in their CIS region, being beaten by the recently-formed NoPangolier, who lost out narrowly in the qualifier to this tournament to Na’Vi. However, VP’s dominance against the other teams cannot be understated, being flawless against everyone else in their qualifier, and it is likely that both will be fighting hard to try to secure 1st place. Na’Vi are undoubtedly going to struggle. 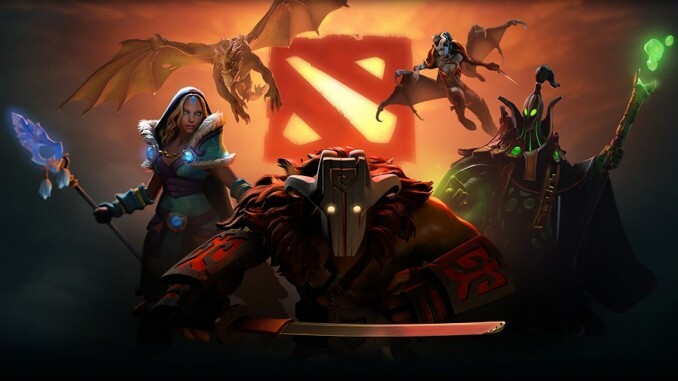 Faced with two of the strongest teams in Dota 2, and coming off multiple qualifier losses, they arrive as heavy underdogs, and will need to pull out some major upsets if they are to even win a game. While Group B may not have the strongest teams, it looks more evenly matched. Team Liquid may have had a rocky start to the season, pulling out of the Minor due to health reasons, but they’ve managed to rebound quickly by qualifying for the Chongqing Major. While their number of games played recently is low, they’ve shown that they have quickly adapted to the new meta, recording clean, quick wins against their opponents, and only dropping to Team Secret. Even then, they still managed to pull out an 18-minute win against them. PSG.LGD look to be the favourites for the group from placement alone. They finished 5th-6th in Kuala Lumpur, and now they have qualified for Chongqing. However, their recent performances against other top Chinese teams have looked sloppy, especially their 2-0 loss to Vici Gaming, calling into question how well they’ve adapted to the meta compared to other top-tier teams, who they will face here. Forward Gaming look to be the group underdogs but they have still enjoyed some recent success. While they did place 9th-12th in Kuala Lumpur, they were very close to beating EG, who eventually went on to finish 3rd. Their performance in the qualifier for Chongqing was also strong, only dropping games to J.Storm, and taking down EG 2-0 to progress as North America’s 2nd seed. All this adds up to a competitive group, where any of the teams could take 1st on a good day. It’s hard to predict anything other than a Virtus.pro v Team Secret final, their recent performances both saying a lot about their current dominance. However, since only one of them can take 1st in their group, it does present the opportunity for someone to prevent that showdown by taking advantage of the extra games that one of them will have to play. The odds also make that the most likely title match – Secret are 3.190 favourites for the tournament, with VP next in the market at 3.540. However, Liquid, at 3.900, and PSG.LSD at 4.850, both have strong chances, according to the Dafabet prices. No matter what, this will be a true test of how well a team can adapt and learn about the new patch.